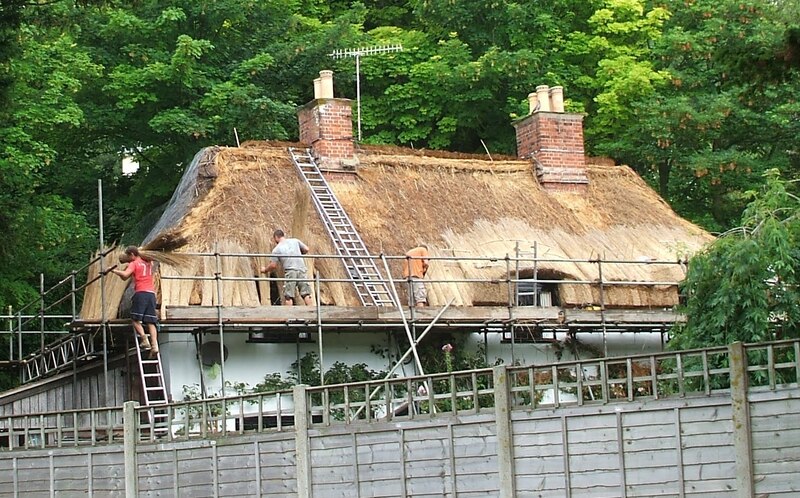 So pleased while we were on holiday to happen across Master Thatchers at work - something we'd only seen on television previously. Enjoy! 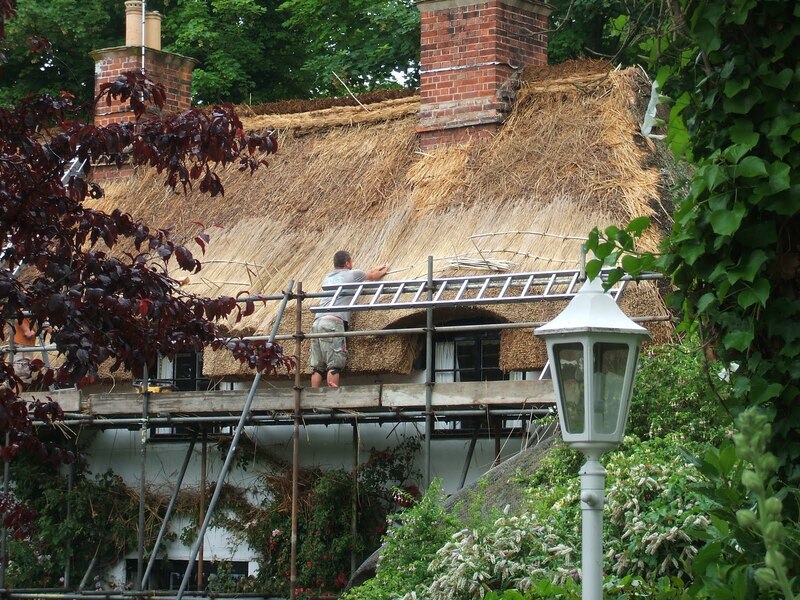 I was amused to read on Wiki that thatching fell out of fashion as it was considered a mark of poverty - of course it's quite the opposite now! 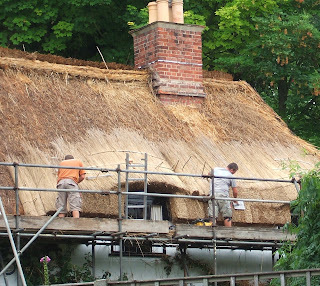 I knew about thatching, but never saw it in progress! How interesting!!! This is a real art form and glad to see it's being kept alive. 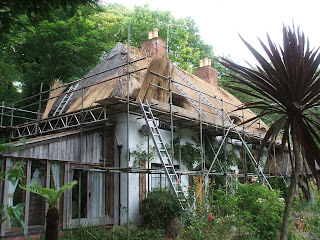 I've read a little about thatching in basketry books. 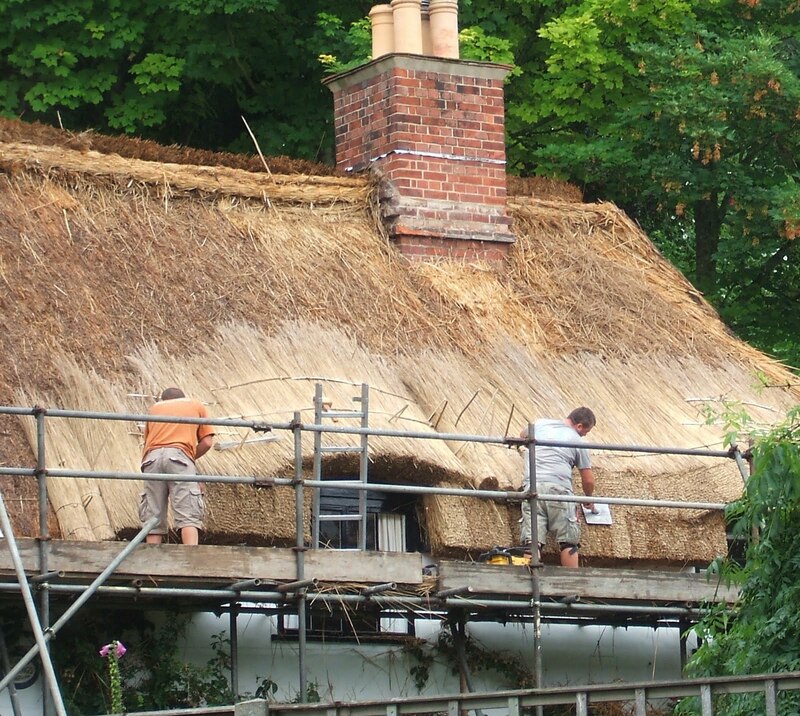 How cool that you are able to see it being done.. I would love to be there. I've seen it on tv, too - how cool to see it in person! I saw this on t.v. a few years back and was amazed by the process. This style of roof is so amazing and unique to me. 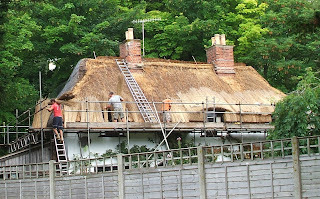 Don't these roofs last many decades? 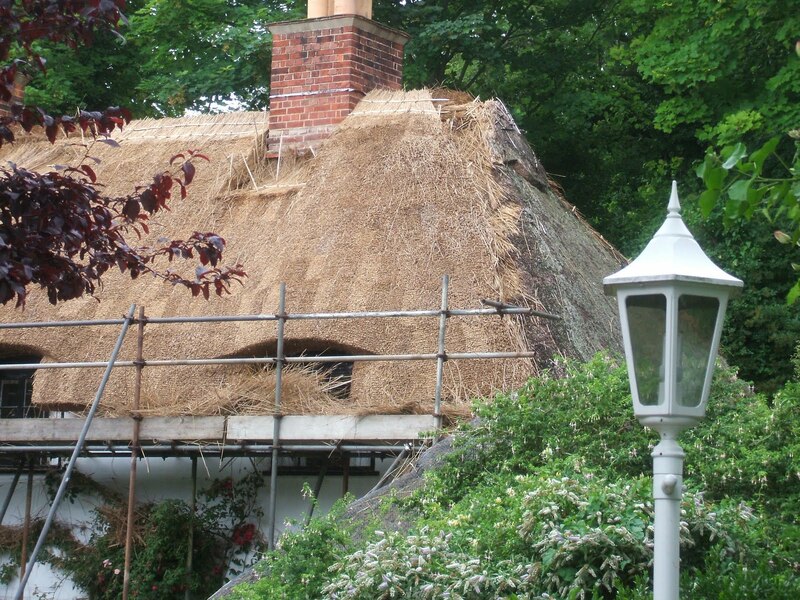 I've seen some homes in Carmel, California with thatched roofs and think they are quite beautiful. Must have been neat to witness the process.